Breezy coconut palms silhouetted against the west Maui range viewed from sunny Kihei. 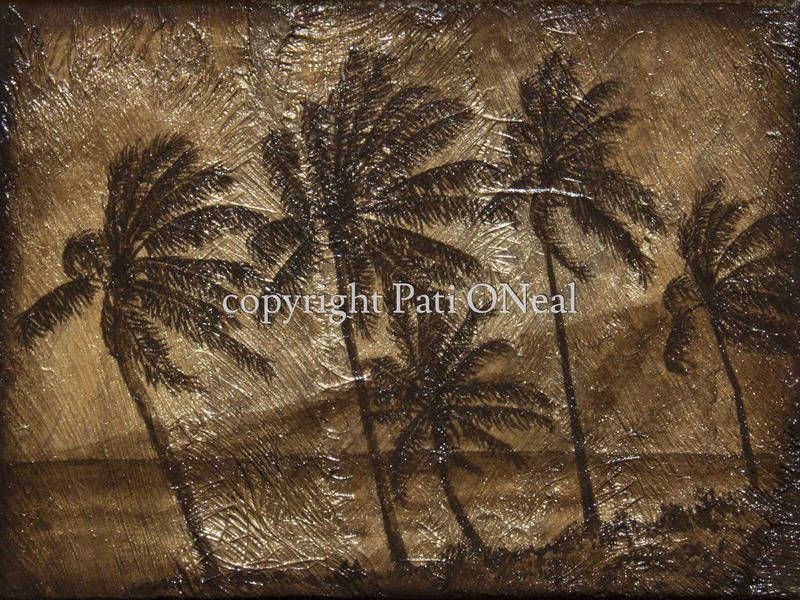 This work is painted on a background of prepared guinit (coconut tree fiber) mounted on a cradled panel. The original is sold, contact the artist for a similar commission.